Legendary Sacramento sportscaster Gary Gerould will be among the inductees of the Gold & Silver Circle Class of 2018 when he is enshrined this month into the Gold Circle in honor and recognition of his more than 50 years of contributions and accomplishments to the northern California television community. Gerould was chosen last month by the Board of Governors of the San Francisco/Northern California Chapter of The National Academy of Television Arts & Sciences to be this year’s Gold Circle honoree. Frank LaRosa will present Gerould with the Gold Circle honor. Gerould and six Silver Circle inductees will be honored Oct. 20 at the 2018 Gold & Silver Circle Luncheon Induction, to be held at the Marriott Park Central in San Francisco. 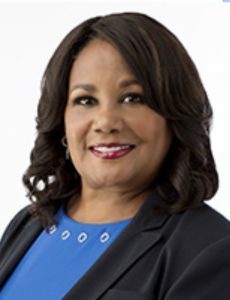 Carolyn Tyler, who retired this month after a 32-year career as an anchor and reporter at KGO-TV ABC7, has been tapped to serve as mistress of ceremonies. Joining Gerould will be Silver Circle honorees Jessica Aguirre, news anchor, KNTV NBC Bay Area; Ken Bastida, news anchor, KPIX 5; Dianne Fukami, president/co-founder, Bridge Media; Edie Lambert, news anchor/reporter, KCRA 3; Stacy Owen, president/general manager, KNTV NBC Bay Area/KSTS Telemundo 48; and Kopi Sotiropulos, morning anchor and meteorologist, KMPH 26. The Silver Circle presenters are Janelle Wang, anchor, KNTV NBC Bay Area (for Aguirre); Elizabeth Cook, anchor, KPIX 5 (for Bastida); Bruno Cohen, retired president and general manager, KPIX 5 (for Fukami); Jim Stimson (SC ’08), assistant news director, KCRA 3 (for Lambert); and Dan Adams (SC ’05) and George Warren (SC ’15), former reporters, KXTV 10 (for Owen). and Kim Stephens (SC ’14), co-host of Great Day at KMPH 26 (for Sotiropulos). Also to be honored at the luncheon will be Diane Donian Paskerian, who was inducted into the Silver Circle in 1989. The Chapter will recognize her with the Governors’ Service Medallion in recognition of her many years of service and dedication to this Chapter. The Gold Circle honors individuals who have been actively engaged in television for at least 50 years. 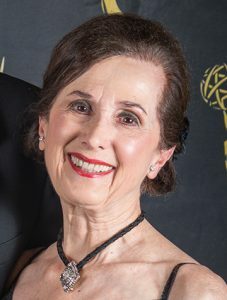 The Silver Circle is an honor society that recognizes those who have been actively engaged in television for at least 25 years (at least half of that time in this NATAS chapter area), distinguished themselves in their careers and have made significant contributions to the TV industry and to the community. Including today’s inductees, there are 264 members of the Gold & Silver Circles combined. For the Gold Circle honor this year, this Chapter will be honoring someone in Gerould who is not only a legendary sportscaster in northern California, but is someone who has traveled the world to work in television and radio for the last 64 years. 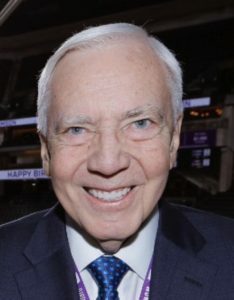 Starting in broadcasting in his hometown of Midland, Michigan, at the age of 14, Gerould has logged 1,900 network telecasts, including covering sporting events on NBC, ABC, and ESPN. Gerould is also known as the voice of the NBA’s Sacramento Kings; he has been doing play-by-play for them since 1985. To date, he has called 2,600 games. Simultaneously, for 37 years, Gerould was a motor sports reporter for ABC and ESPN. He also spent eight years covering the National Football League. Gerould has done a little bit of everything in the sports arena, from Sumo wrestling to the Olympics. Beginning his career in Midland, Michigan, Gerould at 18 landed a job at KHSL-TV in Chico. Then, it was on to KCRA-TV in Sacramento where he worked as a sports reporter and anchor from 1965 to 1977. Freelancing after leaving KCRA, Gerould covered auto racing assignments that included Formula One and the Indianapolis 500. Along the way, he mentored his son, Bobby Gerould, who is now a known sportscaster and personality. Gerould aggressively supported Northern California motor sports, donating time, energy, and money to preserve the rich history of various tracks such as the Calistoga Speedway. Gerould stepped away from calling motor sports because of the hectic schedule. He still travels with the Sacramento Kings, calling games during basketball season. 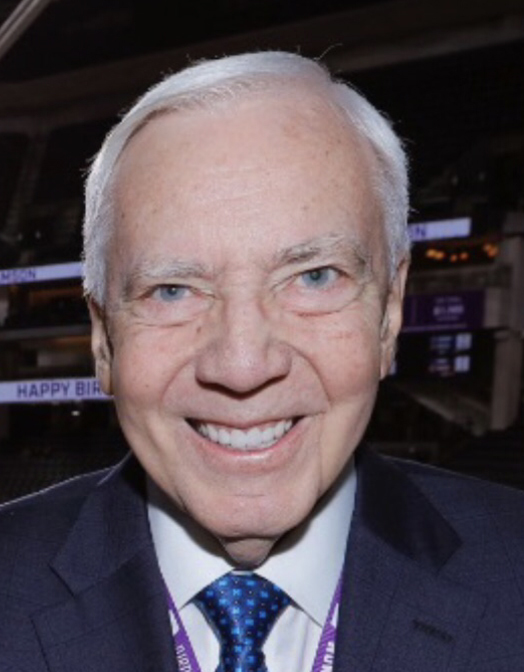 At 78, Gerould remains one of the NBA’s longest-tenured announcers. Known as “G-Man” to many, Gerould says he has no plans to retire. Paskerian is no stranger to the San Francisco/Northern California television community; she is a founding member of this Chapter. Her career in television began in the late 1950s when she went to work for ABC-TV. She worked in the production department and was assigned to five network shows, including The Betty White Show, The Lawrence Welk Show and The 76 Sports Club. Following that assignment, Paskerian also served as “script girl”, as she puts it, and production coordinator for Liberace‘s TV variety show in the early 1960s. In the 1960s, the Oakland native returned to the Bay Area to work as a producer and talent coordinator at KPIX and KBHK-TV, both in San Francisco, and later, for MGM, ABC and NBC in Los Angeles. Her credits include The Bell Telephone Hour, The Frank Sinatra Show and a series of specials starring Bing Crosby. In later years, Paskerian parlayed her career in television into public service, serving as the deputy director of the California Office of Tourism under then-Gov. George Deukmejian. She also worked as a professional media representative in San Francisco for 25 years, managing press relations, promotion and marketing for personalities and organizations. The Marriott Park Central is located at 50 Third St. (at Market Street), San Francisco.